Producers have announced that Strictly Ballroom the musical will open at London’s Piccadilly Theatre in March 2018. Strictly Ballroom tickets are now on sale. 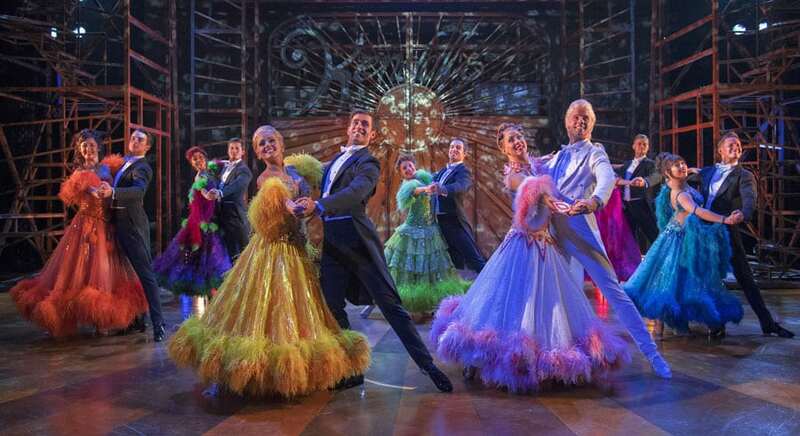 Strictly Ballroom The Musical is the uplifting story that inspired the world to dance. Based on Baz Luhrmann’s multi award-winning movie Strictly Ballroom, the first instalment from the acclaimed Red Curtain Trilogy, the musical production is a kaleidoscope of colour and fun. When maverick championship ballroom dancer Scott defies all the rules of competition to follow his heart, he teams up with left-footed partner Fran to win the Pan Pacifics his way. Featuring the film’s classic break-into-song numbers such as Love is in the Air, Perhaps Perhaps Perhaps and Time After Time alongside electrifying new songs from a host of internationally acclaimed artists. Drew McOnie (whose dazzling choreography for In The Heights earned him the 2016 Olivier Award) will direct and choreograph the production. Strictly Ballroom is based on the original Australian musical created by Baz Luhrmann and Catherine Martin, with a book by Baz Luhrmann and Craig Pearce. The doors will open to the opulent and glamorous world of Strictly Ballroom The Musical from March 2018 at the Piccadilly Theatre.